The Hello Kitty’s image is found on many items around the world. Most people recognize this kitty since her image is on hundreds of clothing and accessory designs, debit cards, wine bottles, electric guitars, and others. She is also the star of numerous movies, video games, and TV shows. Due to such a popularity, Hello Kitty costume ideas for Halloween are extremely popular not only among little girls, but also among grown-ups. All of our Hello Kitty costume ideas include everything to make any party goer and trick-or-treater melt from an overload of cuteness when they arrive at the door in their stylish Hello Kitty Halloween costume. Consider making Hello Kitty a family affair with a big sister, mother, and child with our matching Hello Kitty costume ideas. A group in Hello Kitty Halloween costumes will definitely become a hit out on the town collecting treats, or at different parties, local festivals, and other community events. Our Hello Kitty costume ideas come in sizes for toddlers, teens, and adults and include dresses complemented with a cute button nose, sweet button eyes, black whiskers, and red bows on the left ear. 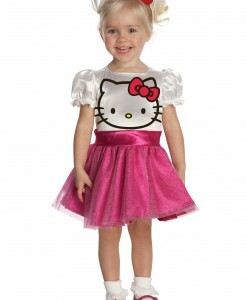 Ruffled sleeves and flared pink skirts with waist-flattering belts are fun touches that are available with all three versions of the Hello Kitty Halloween costume ideas. 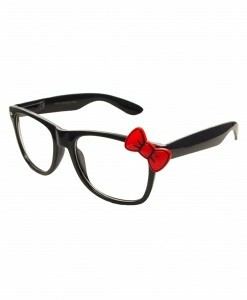 Accessories like patent Mary Janes, sparkly ballet shoes, pearl bracelets and chokers are easy accents that top off all of the Hello Kitty costumes. A Hello Kitty pajama, child Hello Kitty costume, or a Hello Kitty romper – no matter what Hello Kitty costume ideas you like better, as long as we have stocked all Hello Kitty costume ideas in one place. Our Hello Kitty costume ideas and accessories offer a great opportunity to team up with your family members and close friends for some very special Halloween photos. 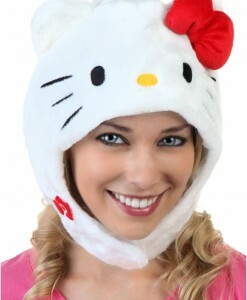 With such a selection of Hello Kitty costumes for both adults and kids, it is difficult to pick up just one. 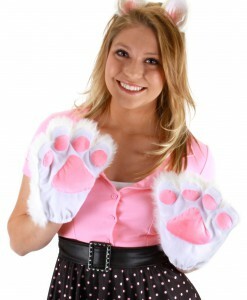 We have all your Hello Kitty costume and accessory needs covered with free delivery anywhere in the USA, Canada, and the UK. See also: Tooth Fairy Costumes and Scary Halloween Costume Ideas For Women & Men.